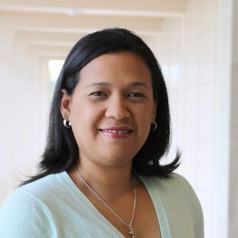 Johanna Amaya Leal is an Assistant Professor in the Department of Supply Chain and Information Systems at Iowa State University Ivy College of Business. She received her B.Sc. in Industrial Engineering from Universidad del Norte, Colombia. She got a M.Sc. in Industrial and Systems Engineering, from University of Florida and completed her PhD. in Transportation Engineering at Rensselaer Polytechnic Institute. Ms. Amaya is an Eno Fellow and recipient of a Fulbright Scholarship sponsored by the U.S. Department of State. Her research interests are urban freight transportation, disaster response logistics and operations management. She has several publications in such areas; has been part of various research projects, committees, and panels.